The randje per week challenge was completed on Saturday. This week’s TAST challenge has two stitches. The pintangle link is here. These were also worked in earlier TAST challenge. Some more progress was made this week on this lemon green tunic. Four strands of anchor white skein are used to work the stitches. 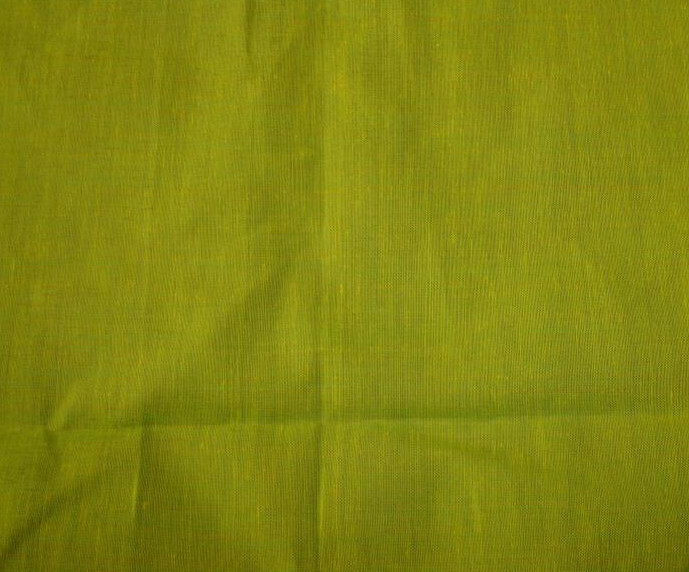 This lemon green cotton fabric is ideal to work on. This project is enticing me to work on it. Giving in to the temptation, just started on this motif with three strands of red thread. Holidays for Ramadhan started yesterday. My friends are busy. Their projects are yet to be started. My tailor also needs a break during this period. The brown combo tunic was sewn very well. 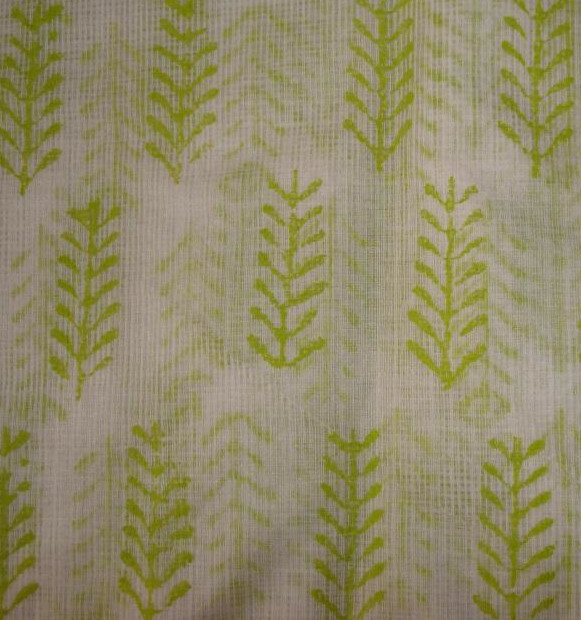 I had an idea of a strip of the block printed fabric to be used for sleeve borders. Which the tailor forgot. The plain edge gives an unfinished look. 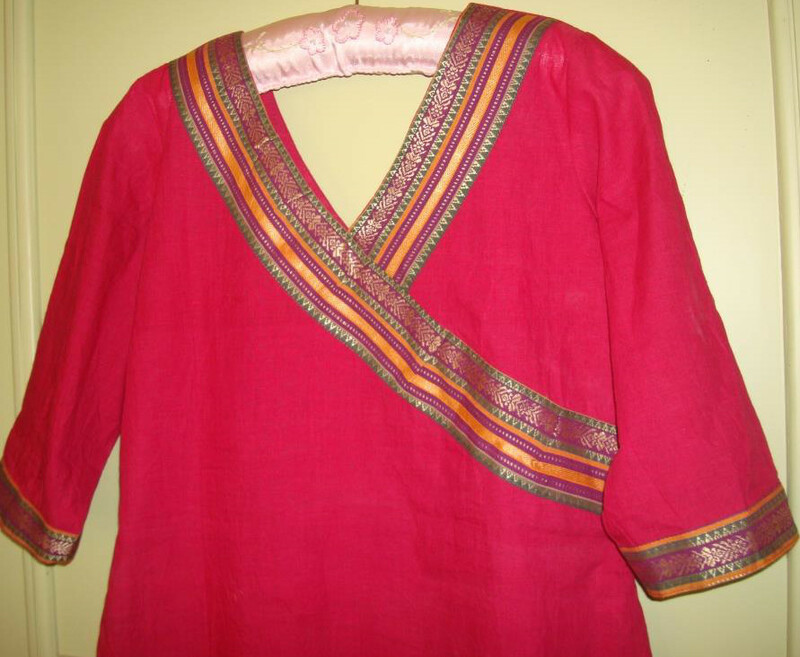 The pink border tunic also needs to be embroidered. This week can be used for taking care of these two works. Along with the works in progress, some ideas for embroidery are also passing through the mind. I really need to put those ideas on a book before they vanish into thin air. Not all tunics are suitable for Marash embroidery. 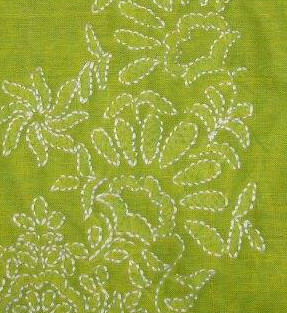 A Kantha work and a mirror work are waiting for some apt designs. The chart on Randje per week was completed on Saturday. Just had a look at TAST challenge. It is Berry stitch. 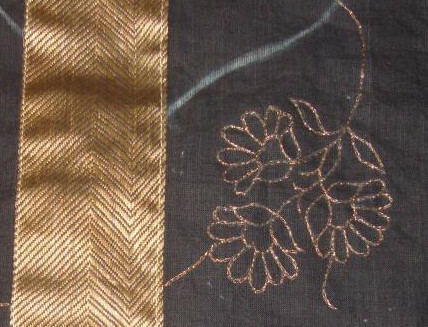 The working of the stitch is on Pintangle. This project is nearing completion. Mirrors are to be stitched on this piece. This project was started yesterday, before completing the mirrors, too much excitement to work chikan embroidery, I suppose. Started with the sleeve border. Still wavering between three ideas- to draw the motifs from the old samplers or take the inspiration and build over those old designs or choose a tunic project and start designing according to the requirement. Presently the last idea is being implemented. 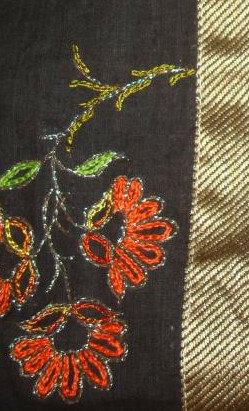 The focus is on building the interlacing motifs without other kind of embroidery stitches. The design is a broad border made of kutch motif pattern along the hemline. The drawing was accomplished last night. The weekly challenge RPW2016 was worked on Saturday. 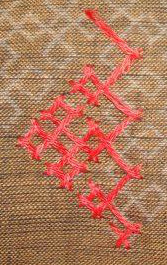 TAST 2016 challenge stitch is Portuguese border stitch. The samples of this stitch were worked on earlier TAST challenge. The link to the post was put on FB group. There was time to make good progress on this tunic. A sample of this project. 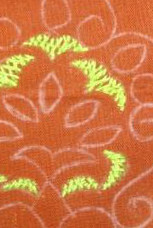 Two small kutchwork patterns were drawn below the borders on this sewn tunic. 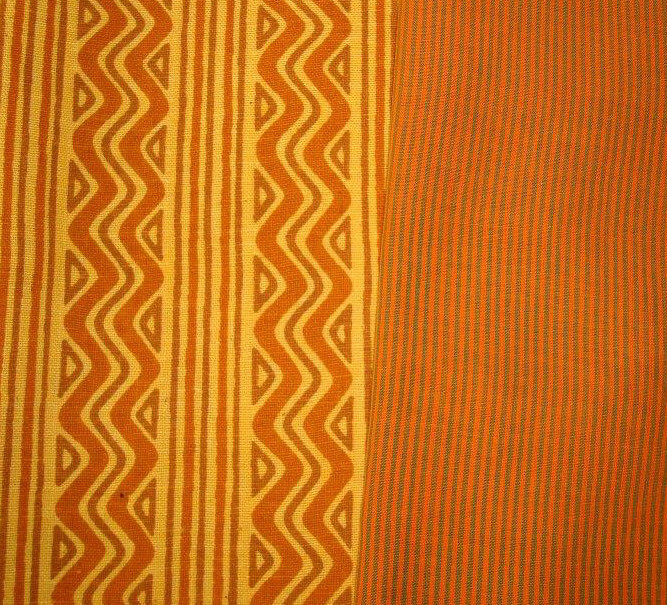 A design was drawn on brown cotton fabric for sleeves and the front of the tunic for this yellow printed and orange striped tunic. The embroidery work started on it today. This is another summer special tunic. It is with the tailor for marking the neck and sleeves. The idea is- chikan/ shadow work embroidery worked in white thread. Regarding Marash embroidery study and implement, this progress has slowed down a bit. Designing is progress for a tunic. The idea for another project with this embroidery is still simmering.